Maïdan chronicles a civil uprising against the regime of president Yanukovych which took place in Kiev (Ukraine) in the winter of 2013/14. Maïdan chronicles a civil uprising against the regime of president Yanukovych which took place in Kiev (Ukraine) in the winter of 2013/14. 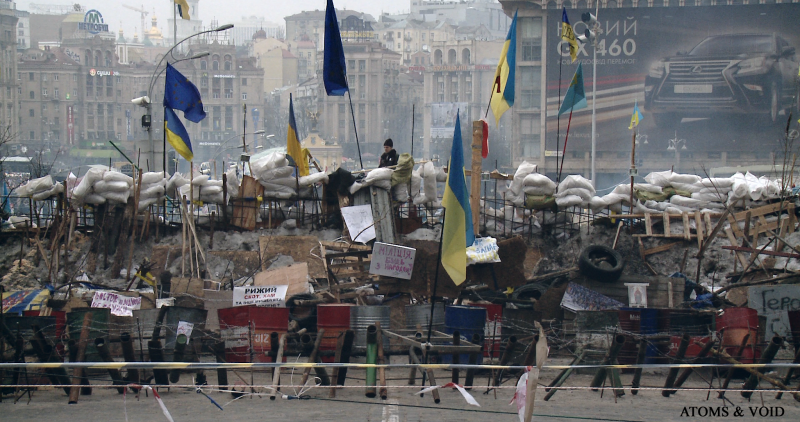 The film follows the progress of the revolution: from peaceful rallies, half a million strong, in the Maidan square, to the bloody street battles between the protestors and riot police. Maïdan is a portrait of an awakening nation, rediscovering its identity. Director Sergei Loznitsa rises above current political issues and looks at the nature of the popular uprising as a social, cultural and philosophical phenomenon. A powerful mix of enthusiasm, heroic struggle, terror, courage, aspiration, people's solidarity, folk culture, passion and self-sacrifice, Maïdan is a stunning cinematic canvas combining classical film making style and documentary urgency. Sergei was born on September, 5th 1964. He grew up in Kiev, and in 1987 graduated from the Kiev Polytechnic with a degree in Applied Mathematics. In 1987-1991 he worked as a scientist at the Kiev Institute of Cybernetics, specializing in artificial intelligence research. He also worked as a translator from the Japanese. In 1997 he graduated from the Russian State Institute of Cinematography (VGIK), where he studied feature film making. Sergei has been making documentary films since 1996, and he has directed 14 documentaries, all of which received numerous international awards. Sergei Loznitsa’s montage film “Blockade” (2005) is based on the archive footage of besieged Leningrad. Loznitsa’s feature debut “MY JOY” premiered at the Festival de Cannes in 2010, and was followed by “IN THE FOG”, which premiered in the competition of the 65th Festival de Cannes in May 2012 and received the FIPRESCI prize. Sergei Loznitsa continues to work in both documentary and feature genres. He is currently working on a feature film “Babi yar”.